Commander Moses Raudino was born in Sicily, and migrated to Australia with immediate family in the mid-1960s. Prior to joining the RAN, Commander Raudino was a secondary teacher in Melbourne and a learning facilitator with a private training firm, and in 1996 he joined the VCE management team at the Victorian Board of Studies. His current appointment as a Principal Training Specialist in the RAN is therefore his third career. Commander Raudino initially served as a Naval Reserve sailor (Able Seaman Radio Operator) in HMAS Lonsdale, HMAS Bayonet and TS Gayundah over the period 1980-86. In March 1997 he rejoined the RANR as a Naval Control of Shipping Officer (NCS) (now Maritime Trade Officer) and in 1999 deployed on a brief operational posting as liaison officer with the Italian LPD ITS San Giusto providing sealift between Darwin and East Timor. In 2001 Commander Raudino posted to HMAS Creswell as an instructor at the Royal Australian Naval College (RANC) and transferred to the RAN in 2002. Since then, Commander Raudino has held key training-related positions including Manager of the Royal Australian Navy Training Systems School (2005-06), on promotion to Lieutenant Commander; Manager, Training Systems-Aviation in HMAS Albatross (2006-07); Training Manager in HMAS Kanimbla (2007-09); and, Head of the Training Services Faculty, Training Authority-Logistics HMAS Cerberus in 2010. In addition to training-related roles, Commander Raudino served as the Executive Officer, HMAS Coonawarra (2010-2012), and in November 2012 he deployed on operational service with ASC 3 as a United Nations Military Observer/Liaison Officer in the UN Mission in South Sudan (UNMISS). On return to Australia in May 2013 Commander Raudino posted to HMAS Creswell, first as Head of the Management and Strategic Studies Faculty, and then as the Senior Training Specialist (2014). 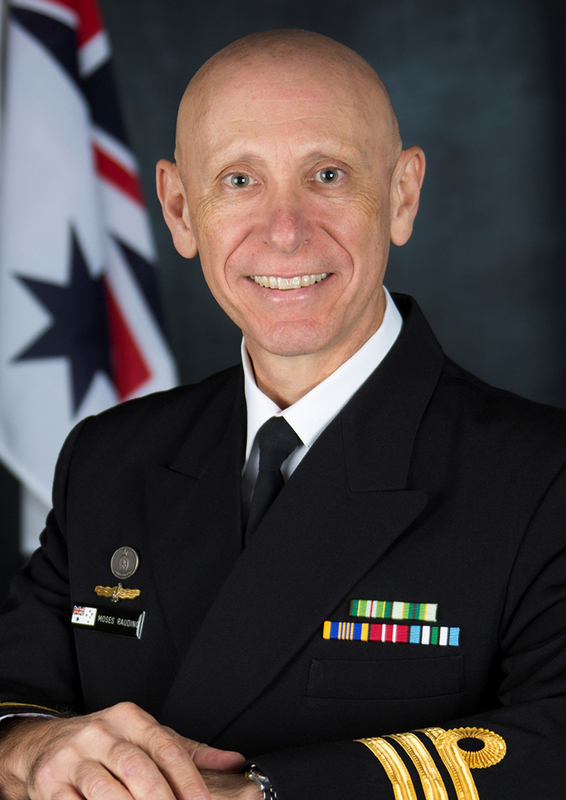 On promotion to Commander in 2016 he was appointed Deputy Director Training Systems, Training Force Headquarters (2016-17) prior to taking up his current position as Training Commander, Royal Australian Naval College (RANC) and Deputy Director Training Authority-Initial Training Leadership and Management (DDTA-ITLM) in January 2018. Commander Raudino is a graduate of the Australian Command and Staff Course-Joint (ACSC (J)) 2015; he holds an Honours Degree in Sociology, a Graduate Diploma in Education, a Masters in Military and Defence Studies and is continuing a Masters of Business with the UNSW.